Happy Thanksgiving, everyone! While you are lying on the couch in a too-much-Turkey coma, take a look at some upcoming theatre events! 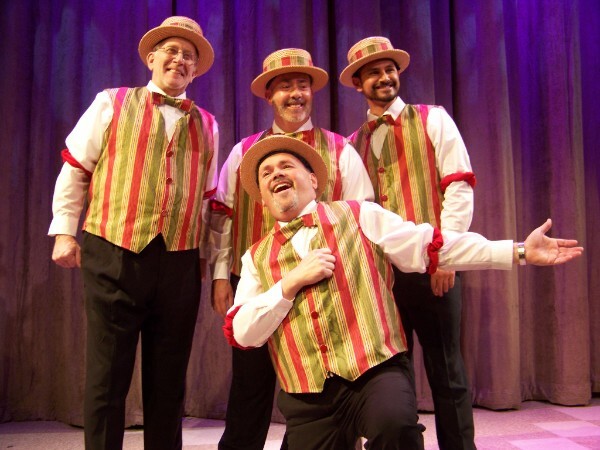 And if you haven't already, take a moment to like Pioneer Valley Theatre News on Facebook! 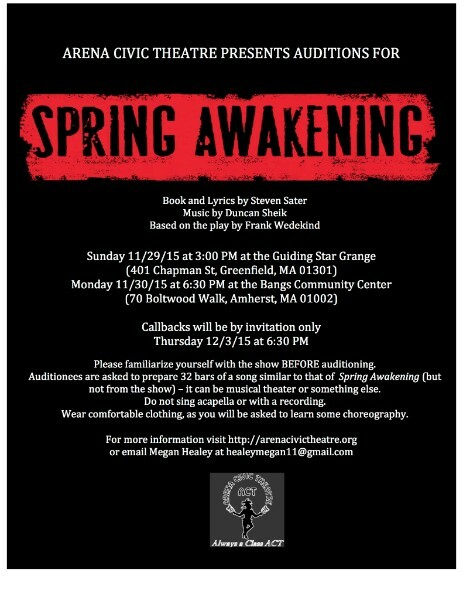 Auditions for Arena Civic Theatre's production of SPRING AWAKENING begin this weekend. Checked out their featured listing below for more information. If you'd like your upcoming event to be featured, contact me for details and to reserve your date! From the article: Last week, Clarion University in Pennsylvania was forced to cancel its planned production of Lloyd Suh’s Jesus in India. The reason: casting. 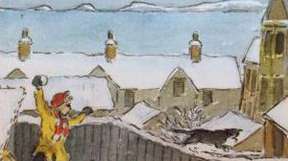 Three of the characters were written as Indians, and the predominantly white school had cast two white actors and one mixed-race actor in the roles. Earlier the same week, Katori Hall objected passionately in The Root to a Kent State University production in Ohio of her two-hander The Mountaintop, in which the role of Martin Luther King Jr. was played by a white actor*. Though she wasn’t able to stop the production, director Michael Oatman’s decision led her to officially stipulate that the characters in The Mountaintop be played by African-American or black actors, unless approval has been granted. 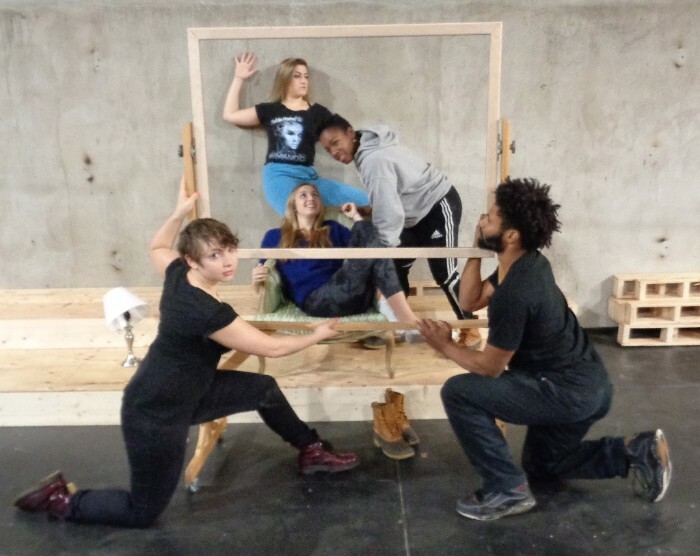 The Amherst College Department of Theater and Dance is proud to present Performance Project, an evening of original dance and theater works created by Five College students as part of their work in Performance Studio taught by Visiting Resident Artist Peter B. Schmitz. Lighting designs by students in Lighting Design taught by Resident Lighting Designer Kathy Couch. The performance features a variety of pieces, including Body Haunt, choreographed by Alexandra Leite (HC), which explores the impact of body shaming in performance dance. The piece engages the audience to reflect on how they are watching (and judging) the bodies that are on stage. The dancers are in a battle with their own destructive thoughts that evolve and manifest physically throughout the course of the dance. Daphne Thompson’s (AC) “the stuff of movies” explores our generation’s tendency to watch films for content instead of form, basing how we go about our lives on cinematic manipulations (specifically, those of the romantic comedy) rather than honest, spontaneous, and messy experience. Under the narration of the Academic, film conventions are experimented with, explained, and put into practice on the stage. Playing Pretend is a piece choreographed by Lauren Horn (AC) that explores the identity we put forth for all to see and the one we keep to ourselves. The words for each of the solos were created by each of the dancers. Elena Marione’s (AC) Arrastreo is the murmur of all our mouths, a frightened and wondrous exploration of attention, identity, and the things we leave behind. A Flickering Candle, written and directed by Mark Hawkins (AC), follows the tragic relationship of a young man and woman amid alcohol addiction, forcing us to consider whether people truly change. Sunday, December 13 at 2:00 PM, Beehive Parlor, Deerfield Inn, 81 Old Main St, Deerfield. Along with the reading will be a performance of Celtic holiday harp music presented by Piper Pichette (The Pied Harpist), followed by a Holiday Story Slam, when audience members will vie for prizes for telling the best Holiday tale as determined by audience vote. Tickets for this fundraiser for Silverthorne Theater’s summer season are $30 for the Northfield performance, $35 for the Deerfield event. The ticket price includes holiday treats and beverages. Seating is limited. Reservations may be made online on the Special Events page of the website. This event is suitable for adults and children 12 or older. Questions and further information: email or call 413-768-7514. More than 40 roles are available in these 8 comedies and 8 dramas. The age range of male roles is 14-60’s. The age range of female roles is 17-60’s. Please bring a headshot and resume if available along with a photo ID. 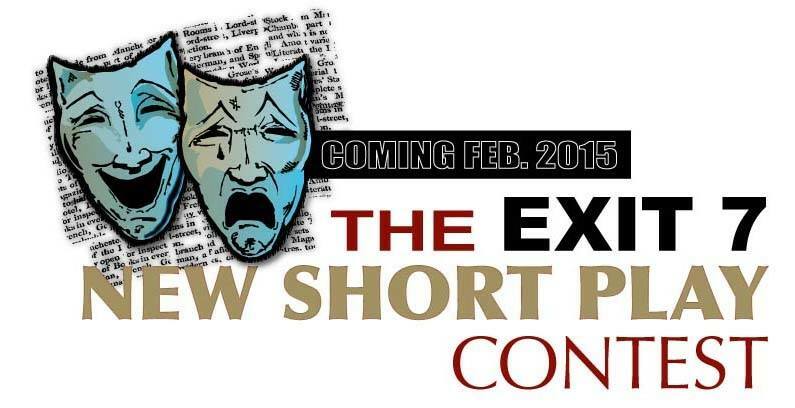 Actors will read selected sides from the scripts, which were chosen from a submission pool of over 700 plays from all over the United States and from several other countries. Scripts can be found online. 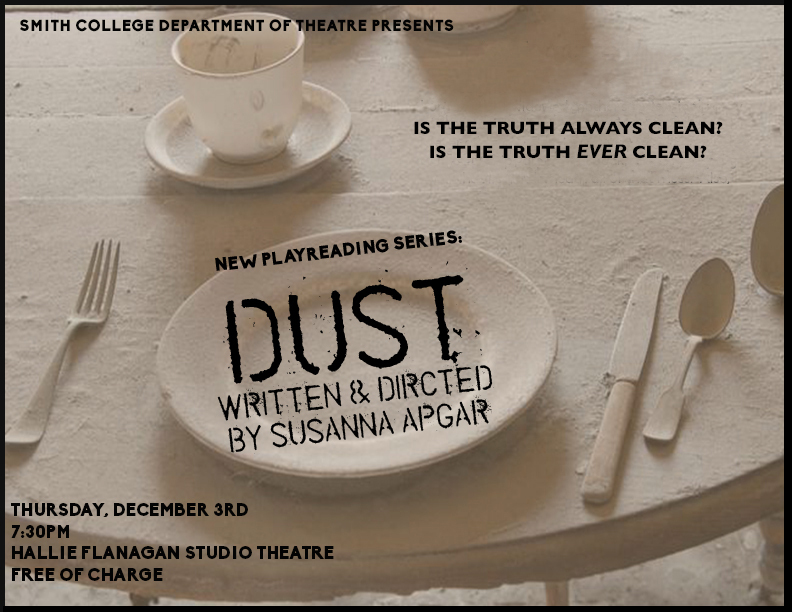 This is a unique and exciting opportunity to perform in original plays, many of which will be Massachusetts premieres, and several world premieres, written by new, emerging, and established voices in contemporary playwriting. If you have any questions, please email the Exit 7 Players Attn: Play Contest. Real Live Theatre is looking for women aged 16+ to fill 6 roles in their new Shakespeare show, The Life and Death of Queen Margaret. 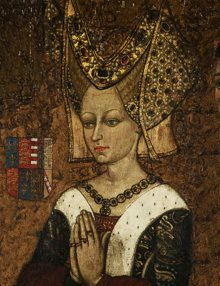 The show is a feminist retelling of Henry VI Parts I-IIIand Richard III from the perspective of Queen Margaret, Shakespeare’s best-written female character. Please prepare a 1-2 minute classical monologue and be prepared to read sides at the audition. 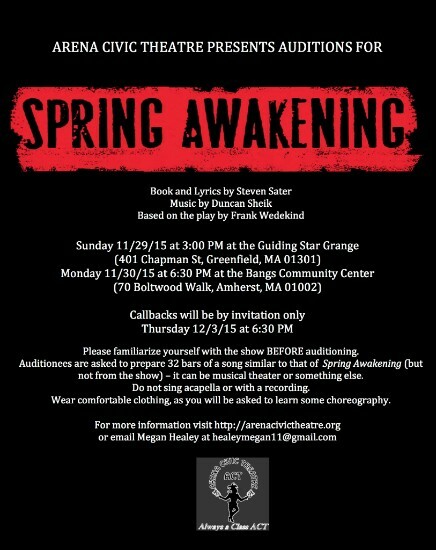 Auditions December 13, 2-5pm at North Star (45 Amherst Rd., Sunderland MA. ); Rehearsals will start in late May, with performances in late July or early August. Email to sign up for an hour slot & for more info.